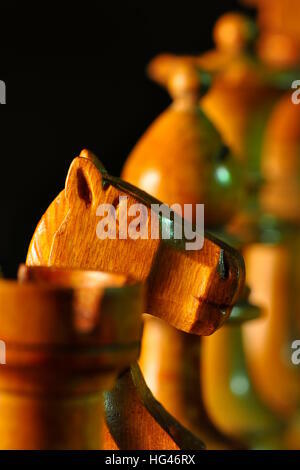 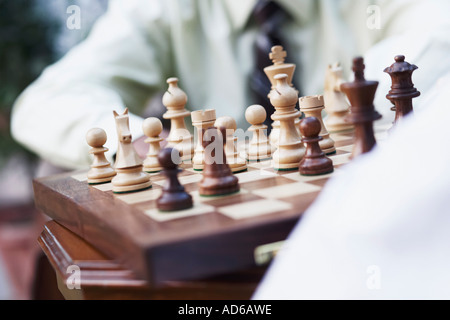 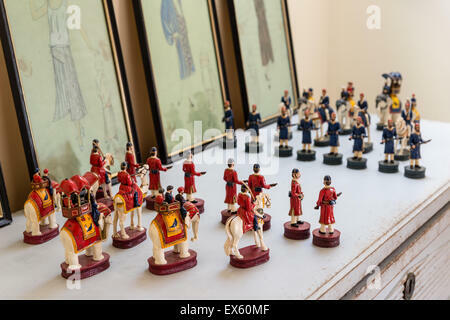 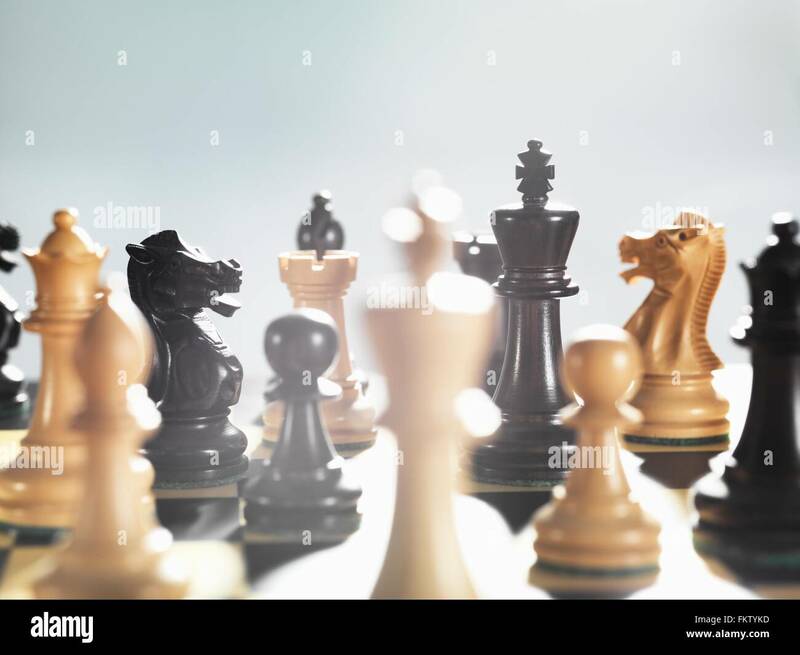 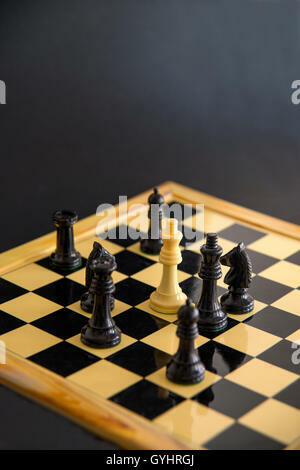 Black chess pieces surrounding white king. 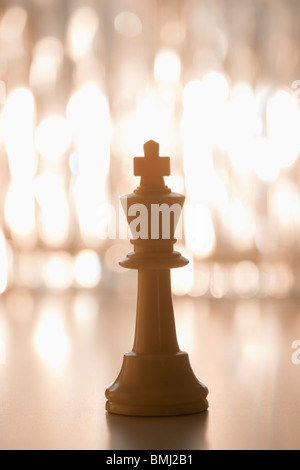 Close view. 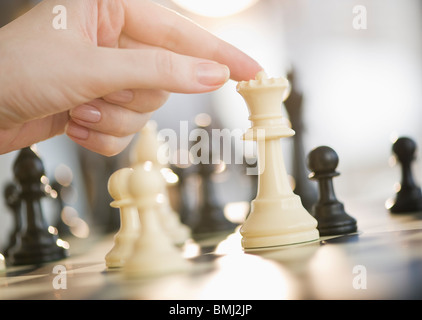 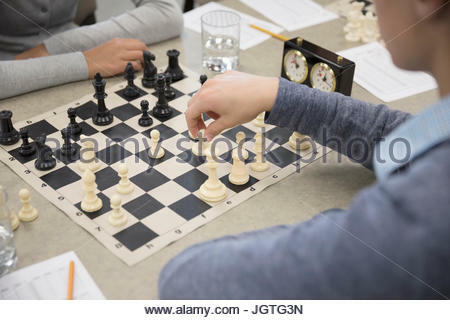 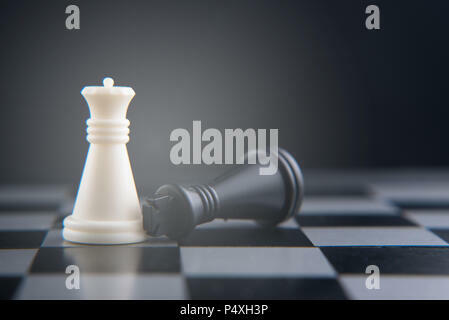 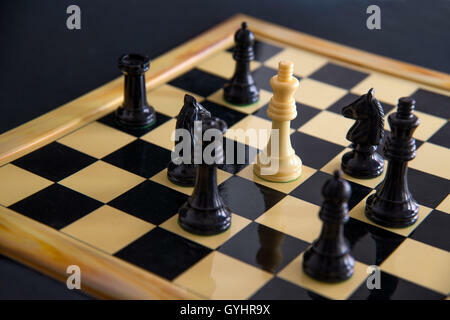 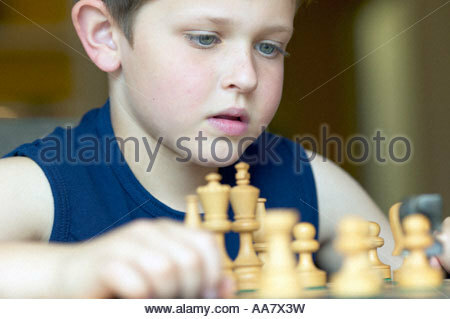 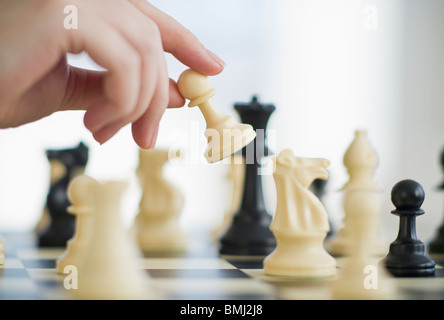 White chess pieces surrounding black king. 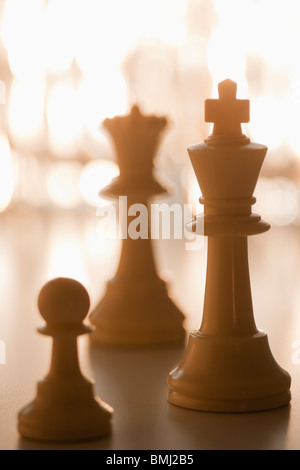 Close view.